A General Purpose mild water based cleaner for general cleaning of every day loose contaminants & slight soiling. Easily identifiable because of its Blue colour, our Renovation Cleaner is a medium strength water based cleaner for use where contamination of the leather is more resistant. Recommended for use before refinishing . A Strong water based cleaner for use on stubborn stains and contaminants. A medium strength cream cleaner for removing everyday contaminants and dust. In cases where dye from garments has stained the leather, gentle treatment with this cleaner will remove most, if not all of the dye. Some colour removal from the original finish may occur. 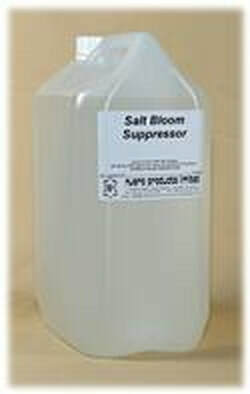 A specially formulated water based cleaner for removing salt bloom, loose contaminants & slight soiling. Salt Bloom Suppressor was designed predominantly for the footwear industry, however it also works grate on three piece suites & car seats when salt from roads has been rubbed onto the leather by shoes during winter months. Ball and felt pen remover when used fairly promptly after contamination has occurred, this solution will soften and allow the removal of ballpoint and felt pen ink from many types of leather without disturbing the original finish. Not to be used too aggressively.